Dressing up for Children in Need! Dressed up for Childen in Need! It’s all in aid of Children in Need 2008. We’re trying to raise as much as possible by pestering each other (and the boss!). 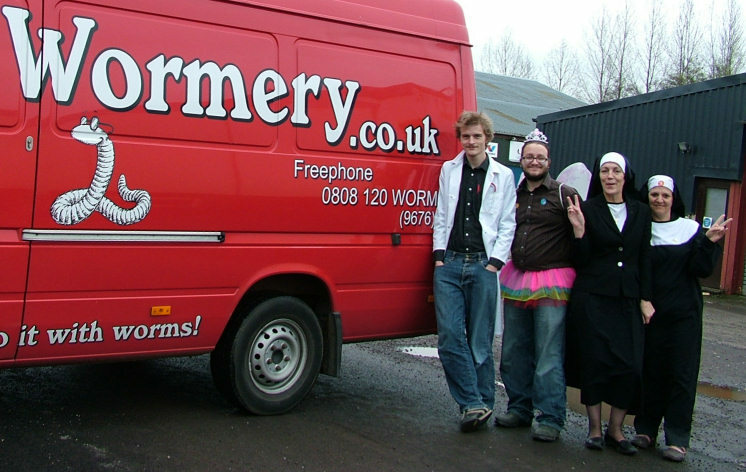 On top of this, I will be personally donating an extra pound for every Wormery sold today! Oh my… I need to work on that beer belly!!! Why not have a look and see if you can spot us? Well if you call Original Organics today you might be in for a spook! 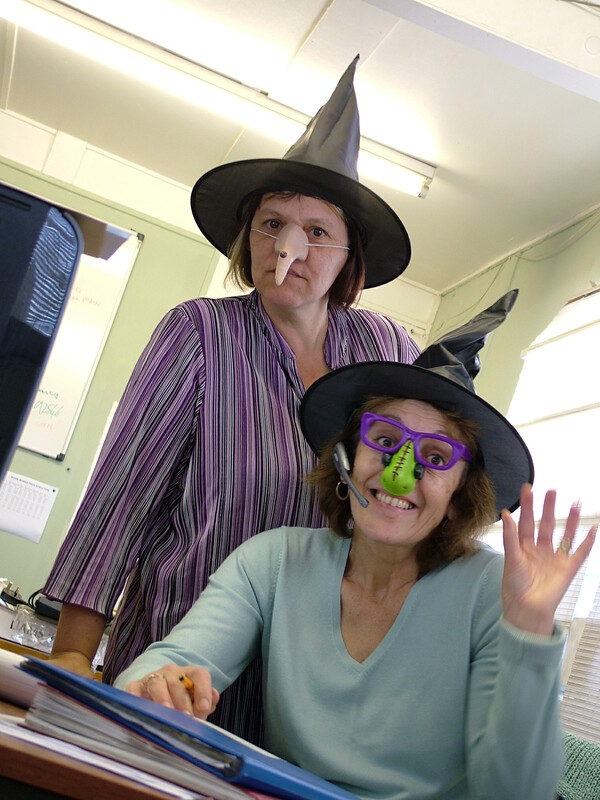 Maria and Caren have come in to work today sporting their Halloween Atire. Are you scared? I shant make any comments about them being witches 🙂 Promise. Oh – and I’ve just made the website a bit more like Halloween… check out Tommy Tiger Worm‘s new witch hat!